As more information is unfolding in the case of the arrest of University of Virginia student, Martese Johnson, it is looking more like a case of a false or wrongful arrest coupled with race bias and possible excessive force by Alcohol Beverage Control police. When the arrest video was released, few details were known. Police charged Johnson with public intoxication and obstruction of justice (without use of force). Johnson was refused entry into a pub due to under age. New information has surfaced that he did not present a fake ID. Johnson, 20 years old, was too young to enter, according to the policy of the pub and entry was refused. When the ABC police confronted him, they chose to ask questions which he allegedly answered correctly on his name, address and zip code. But somehow that led to the ABC police to arrest him and in the process and bash his head causing the need for 10 stitches. The ABC police have been mostly silent and an investigation is under way. Trinity Irish Pub released a statement in support of Johnson. What is most troubling is whether ABC police had probable cause to detain Johnson and ultimately arrest him for public intoxication. If the police did not have probable cause to believe that Martese Johnson was publicly intoxicated, then they had no reason to arrest and charge him. There have been no facts to surface that Johnson was acting or appeared intoxicated which is an element of proving public intoxication. The police did not administer any field sobriety tests. And no one has said that Johnson’s appearance, demeanor or actions indicated he was intoxicated. Trinity Bar co-owner, Kevin Badke, where Johnson tried to enter, says that Martese Johnson was cordial and polite. Johnson was not prohibited from entering the Pub/restaurant by law. The Pub had its own policy of no one under 21 after 10 PM. Trinity Irish Pub issued a statement in support of Johnson. Within moments after leaving the Pub, Badke heard and saw Johnson on the ground with police. Further support that Johnson was sober lies with the breathalyzer test administered upon his arrest at the police station. University of Virginia Vice President of Diversity Marcus Martin stated to CNN that the tests shows that Johnson was well under the legal limit of intoxication. If there is nothing to indicate that the police reasonably had reason to believe Johnson was inebriated, then their arrest amounts to a false arrest. And a false arrest could subject the ABC police and its department to a civil suit for damages by Martese Johnson. In a prior case, the ABC Control Board settled the case of Elizabeth Daly in 2014 for her wrongful arrest by ABC officers who mistakenly arrested her for underage possession of beer which was bottled water. The force exhibited by the ABC police presents other issues. Nothing so far indicates that Johnson needed to be beaten, bruised and brutally assaulted requiring stitches to his head. As President Teresa Sullivan stated, an arrest should not mean bruises and brutal force used. In recent months, we have seen force used against many black victims resulting in death with no criminal charges for excessive force. However, a civil suit for money damages may be brought where unnecessary and excessive force is used in an arrest. And if a case of false arrest is later established, the use of any force was unnecessary in the unlawful arrest. Johnson’s lawyers will likely review these options. Looking at the totality of Martese Johnson’s circumstances coupled with the many hundreds of white students publicly celebrating and out drinking on March 18 without incident, it is difficult to see how race was not an issue. Martese Johnson screams at the time of his arrest, “how could this happen?” Unfortunately racial bias on the part of police happens to too many African Americans by police on a regular basis. And on March 18, Martese Johnson was one more victim of racial bias on the part of the police. 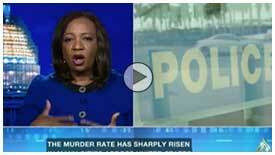 In a Fox 5 News interview on Saturday, March 21, I give further analysis on the subject. Martese Johnson will appear in court on March 26 on the charges. Debbie Hines is a trial lawyer, legal analyst and former prosecutor. The case of 20 year old University of Virginia (“U VA”) student, Martese Johnson, beaten, arrested and charged by police with obstruction of justice, public intoxication and swearing should matter to anyone who cares about justice in this country. Mr. Johnson is lucky to be alive today. He could have died a senseless violent death at the hands of the Virginia Alcohol Beverage Control (“ABC”) Board police for being denied entry to a bar on the early morning hours of March 18. The ABC police in front of witnesses bashed Johnson’s face as evident by his bloody face in photos. Eric Garner died at the choking hands of a New York police officer while stopped for allegedly possessing illegal cigarettes. And Michael Brown died a violent death in Ferguson, Missouri for running away from police officer Darren Wilson. Twelve year old Tamir Rice died a violent death for playing with a toy BB gun on a playground in Cleveland as his sister watched nearby. And countless other unnamed young blacks die violent deaths at the hands of police across the country every year. Martese Johnson is an honors student, student activist on campus and studying 2 majors with dreams and ambitions. To the ABC police, he was likely considered a thug, not belonging in the U. VA. community, up to no good, or obstructing justice as the catchall term police often refer to young blacks under arrest. Johnson is said to have been drinking and used profanity against the police. On video tape, while on the ground being restrained by police, he calls them “f—ing racists”. That would not justify, to a reasonable person, the need for the police brutally beating and bloodying his face requiring 10 stitches. Since many students were celebrating St. Patrick’s day at nearby bars and pubs, it’s safe to assume that Johnson was not the only student who was out drinking. He was arrested less than ½ mile from the U VA Campus. The video of the ABC police arresting Johnson is appalling. Thanks to social media, we are able to learn the specifics almost in real time where there have been witnesses other than the victim and police officers. Witnesses must come forward in these cases to tell or show, if video is available. University of Virginia President Terese Sullivan urges any witnesses to the incident or who have direct knowledge of the incident to immediately contact the Virginia State Police at 804-674-2000. And Virginia Governor Terry McAuliffe ordered an investigation. 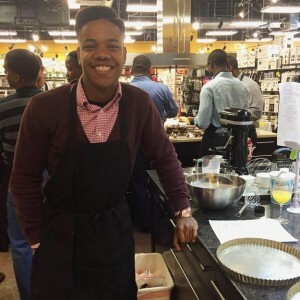 The case of Martese Johnson is not an aberration. On March 8, 2015, we celebrated the 50th anniversary of March on Selma. Selma is occurring everywhere across America. These acts of police violence like Johnson’s case are our modern day Selma. As the violent acts in Selma perpetrated against blacks resulted in the passing of the Voting Rights Act, today’s acts of police brutality in violation of civil rights laws must be met with new laws enacted to protect innocent victims of police brutality. Excessive force or sometimes deadly force may be deemed necessary where the officer’s life is in danger or serious bodily harm is likely to occur to the officer. In the most recent cases of unarmed victims, including Martese Johnson, that is not the situation. Beyond reporting on these individual cases of police brutality, there must be systemic changes. Very few officers are charged for use of excessive force and even fewer are ever convicted as the most recent cases of Michael Brown and Eric Garner show. When an officer commits an alleged act of brutality of excessive force, he is usually placed on paid administrative leave pending an investigation by their local police department’s Internal Affairs unit and the local prosecutor’s office. Whenever police are involved in what is described as a police brutality case, there should be independent investigations. Currently, there is no reliable national database of police brutality excessive force cases whether by shooting or any other means causing death or injury. Police are allowed to self- report these instances. We have no way of knowing how many other excessive force cases occur yearly. While we appear to track just about everything in the U.S., there is a failure to track police brutality excessive force cases. In order to correct the problem, we must first understand the scope and magnitude of the problem. And on a state level, there should also be tracking of police brutality cases. In Maryland, the American Civil Liberty Union (“ACLU”) compiled a report of 109 police brutality death cases occurring between 2010 – 2014 with 70% of those being black. Maryland’s African American population is 30% according to recent U.S. census data. More than 40% of the victims were unarmed. According to the report, less than 2% of the officers were charged. Both a national and state public database would allow individuals to search for details and descriptions on cases including race, injury or death sustained, names of officers, whether charges were brought against the officer, civil cases and the outcome of cases. In Maryland, there are currently 10 pending bills relating to police brutality during the 2015 legislative session. That is a start. Until we know the scope of a problem, it is difficult to fix it. We need national and state data bases and laws to ensure that police do not hide behind the shield of their office when wrongdoing occurs. We need tighter laws to protect the rights of innocent unarmed victims at the hands of police brutality. And we need to start now. Post Script: As of March 19, Maryland bills backed by the ACLU to make it easier to file police misconduct cases, investigate and prosecute police brutality have either died in committee or are on life support. They are not expected to pass in part due to the heavy lobbying by the Maryland Fraternal Order of Police. Washington, DC based Debbie Hines is a trial lawyer, legal analyst and former prosecutor. She is seen frequently in the media addressing issues of race and gender in the law. As a legal analyst, she appears on Al Jazeera America, Arise TV, BET, C- Span, Fox 5, RT America, Sky News and TV One, among others. She also contributes to the Huffington Post and the Women’s Media Center. There is no denial that the U. S. has changed for the better in terms of racial relations since the Selma March 50 years ago when blacks were tear gassed, beaten with bully clubs, bitten by dogs while some lost their lives fighting for the right to vote. For those who deny that racial change has occurred in 50 years, listen and speak with Congressman John Lewis as he challenges those to walk in his shoes over the last 50 years. There is a difference between racial change and racial harmony as the “post racial” word suggests. I first heard the term post racial when President Obama was first elected in 2008. And even before his election, there were clear signs that while America would elect an African American president after the failed Bush years, they would not always respect him on account of the color of his skin. The racially polarizing politics of the country since President Obama’s first election have made it possible for many Americans to express publicly their racist views and attitudes. The national Republicans leaders in both the House and Senate failed to attend the 50th anniversary of the March on Selma, except for Majority Leader Kevin McCarthy who attended at the last minute. Others did attend as former President George W. Bush, Senator Rob Portman (R. OH) and Senator Tim Scott (R. SC) were in attendance. The problem with the GOP is their failure to realize that race relations are American relations. And improvement of race relations is a benefit to everyone in this country. It is not just a black “thang”. In order for the U.S. to ever become post racial, all Americans must realize that the progress of race relations is progress for America and its ugly racist past. The Republican Party is responsible for helping to enact restrictive voter ID laws in the majority of states since 2008 which infringe on the rights of many minorities to vote. And the Supreme Court Justices appointed by Republican Presidents overturned Section 5 of the Voting Rights Act which made it impossible for many jurisdictions to enact voting law changes without first obtaining pre-clearance from the Department of Justice due to past violations of voting rights for minorities. Most, if not all Republicans, refuse to offer support to bills that would re-instate the full Voting Rights Act protections for minorities and prevent disenfranchisement. The wave of recent police shootings and killings of unarmed blacks from 12 year old Tamir Rice, Michael Garner to the latest one of unarmed and naked Anthony Hill outside Atlanta sends shock waves through every black American that has a brother, father, sister or mother. The criminal justice system that cannot prosecute for these crimes is yet another reminder that we are not post racial—or even close. 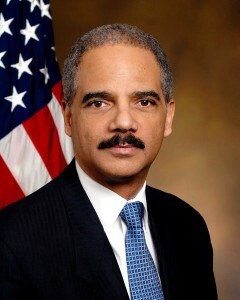 Attorney General Eric Holder who determined that the Department of Justice could not federally prosecute Officer Darren Wilson for killing Michael Brown or George Zimmerman for killing Trayvon Martin, as the standard for hate crimes and violations of one’s civil rights was too high a standard. He spoke about lessening the standard. I don’t think lowering the standard is necessarily the problem or the solution. Grand Juries and juries made up of mostly whites will still likely side with a white police officer as in the cases of Rodney King (the first trial) and Eric Garner. Both of those cases were on videotape and still juries failed to convict in the Rodney King first trial or bring charges in the Eric Garner case. And just last Saturday, the racist use of the “N” word at a fraternity celebrating its Founder’s Day on the University of Oklahoma proclaiming with rampant chants that you can hang a “N” from a tree but he can’t be a member of their fraternity. The fraternity was immediately suspended. We are so un-post racial that it hurts me to hear the word “post racial”. We have moved from the days of Selma fifty years ago. We still have a huge gap to fill before we are post racial. For me, hearing the word “post racial” is almost like hearing the “N” word. It hurts me to hear both of those words. Washington, Dc based Debbie Hines is a trial lawyer, legal analyst, speaker and former prosecutor. She is seen frequently in the media addressing issues of race and gender in the law. She appears on Al Jazeera America, Arise TV, BET, C-Span, Fox 5, Sky News, RT America and TV One. 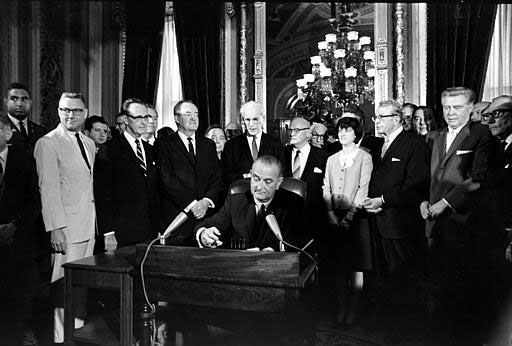 As this weekend marked the 50th anniversary of the Selma March, which culminated in the signing of the Voting Rights Act of 1965, the focus was on the past in contrast with the present and future. Congressman John Lewis, who was once beaten and jailed 50 years ago while marching and fighting for civil rights and voting rights for African Americans on the Edmund Pettus Bridge, returned walking alongside of President Obama on Saturday. While some African Americans and others complain that race relations have deteriorated and not changed, they only need look to or speak with John Lewis and those individuals who 50 years ago risked their lives, endured indignities, beatings, even death, tear gas, and multiple times in jail to know that things have changed in America. We are far from a perfect union. The gap is not as wide as it was 50 years ago when it was unimaginable that a black man could become President or Attorney General. But the gap still persists. And those who marched on Bloody Sunday, 50 years ago, dared to challenge the Jim Crow system in the southern states to live up to the creed of this nation. As President Obama stated, it was “one leg in our long journey towards freedom.” Selma is not just about African Americans, it is about rights for all Americans. The work started 50 years ago in Selma is not complete, as we all should know. Racism still persists in this country. This past week, the Department of Justice released its report on the Ferguson Police Department and the many systemic injustices perpetrated on the citizens of Ferguson in violation of their Constitutional Civil rights. The work of those in Selma 50 years ago, made it possible for Eric Holder, the first African American to lead the Department of Justice to subject Ferguson to a possible law suit or settlement. The actions of the Ferguson Police Department and that of many others across the country still violate the civil rights of African Americans and many other minorities. The difference lies in the power afforded to African Americans to address these issues through the legal process and the Justice Department. And as John Lewis and those who marched 50 years ago know, change and progress have come to America. Today there are over 40 black members of Congress, one Senator and nearly every large city in America has at some point had a black mayor. But racism has far from vanished in the U. S.
The work of Selma continues today with making the criminal justice system work fairly for all, addressing unfair sentencing, mass incarceration, improving police and community race relations, fair wage for fair work and above all ensuring voting rights. As President Obama stated on Saturday, “the Voting Rights Act, the culmination of so much blood and sweat and tears, the product of so much sacrifice in the face of wanton violence, stands weakened, its future subject to partisan rancor.” Strict voting rights laws requiring photo or other ID passed between 2008 and 2012 made it more difficult and burdensome for many minorities to vote. Yet even before the voter ID laws passed, America had one of the lowest voting rates among free people in the world. The reminder of Selma must be the continued fight for voter registration, in spite of the voter ID laws. 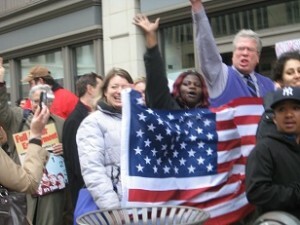 And the fight must continue against the voter ID laws through the courts and in Congress. The work of Selma and those who died fighting for those voting rights must never be forgotten. Unfortunately, Selma is now. The U.S. Department of Justice has learned what probably the residents of Ferguson, Missouri knew all along—that the majority white Ferguson Police Department engaged in a pattern and practice of violating the constitutional rights and civil rights of African Americans in Ferguson. While the Justice Department report will not be released until Wednesday, portions are said to reveal a scathing racially biased system against blacks. What is known so far more than aptly reveals why the residents of Ferguson were especially overcome and boiling over with anger and raw emotions this past summer over the killing of unarmed Michael Brown. Michael Brown was one person of many others targeted in a city full of racial bias by its police force. The numbers are startling to say the least and show a pattern of what amounted to rampant civil rights violations. The African American population of Ferguson is 67%. 93% of all people arrested were African American. 90% of all tickets and citations issued were African American. 85% of drivers stopped were African Americans (aka driving while black). 88% of use of force was targeted against African Americans. 92% of disturbing the peace cases were African American. Of those stopped in their cars and searched, African Americans were 26% less likely to have anything illegal during the car search. And here’s the one where Michael Brown was approached by Officer Wilson. 95% of all citations for walking in the street were African American. And these are just the numbers known as of today. The full report which reviewed police data provided by the Ferguson Police Department over a period of 2 years will not be released until Wednesday. From the review of the statistics, it is clear that the Ferguson police violated the constitutional rights of its African American residents. The Ferguson Police department will now have two options. It can either enter into a settlement with the Justice Department which will require the Ferguson Police to make specific improvements to their training, hiring, retention and policies to eradicate its past illegal practices. The Ferguson Police Department could refuse and face a law suit. With the numbers shown, it is not likely that they would have a good chance of defending these figures. Whatever is decided, change will not occur overnight. But change will occur. It’s not like the Ferguson Police Department can blame these statistics on a few bad apples in their police force. These numbers speak glaringly for themselves. And they paint an alarmingly racist police force. In the African American community in Ferguson and throughout the country, there is skepticism of fair treatment of blacks by police officers. It doesn’t matter whether it’s Ferguson, Los Angeles, New York, or southern cities, the police relations among blacks is dismal in many cities. Many white Americans almost never experience any ill will or bias directed at them by police and clearly never experience any ill treatment due to their race. And due to that fact, it makes it difficult for some whites to understand that the racial bias problem exists. And the data revealed by Ferguson’s police department shows the proof in the numbers at least for Ferguson. Ferguson is not the first city to be found in violation of civil rights against its black residents. Twenty-five other cities have entered into settlements with the Justice Department and have included Pittsburgh (1999), New Orleans (2012), Los Angeles, Detroit and Oakland to name a few. In 1994, the Department of Justice was empowered by the Violent Crime Control and Law Enforcement Act to investigate police departments for systemic violations of constitutional rights. In the case of Los Angeles, a 12 year process occurred. The Justice Department’s findings gives little solace to the family of Michael Brown. In a separate report, Darren Wilson, the officer responsible for killing Michael Brown has been cleared. It may give hope to a new beginning in police relations in Ferguson albeit over time. Only time will tell. Washington, DC based Debbie Hines is a trial lawyer and former prosecutor who appears frequently in the media discussing issues on race and gender in the law.